How can I edit the location? Once you enter the dashboard, you click on the little pencil icon in the location logo / picture. 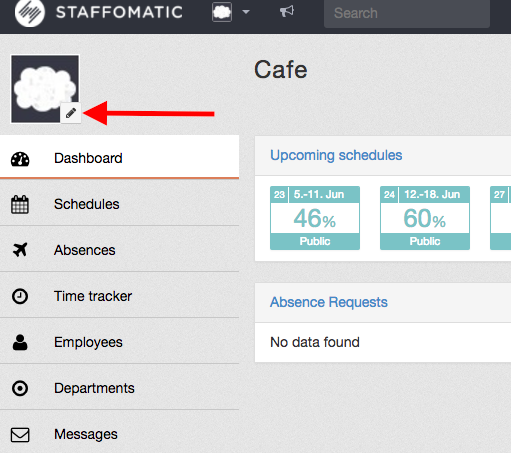 Now you can change the name of the location, chose another picture and edit the standard schedule settings. You can also delete the location if desired. All data stored here (employees, schedules, reports) will be erased.